This is actually the second box I made this weekend. The first one came out great, but I had a major allergic reaction to it. So I ended up using my last piece of redwood wine barrel. As such the shop smelled strongly of wine during most of the build! 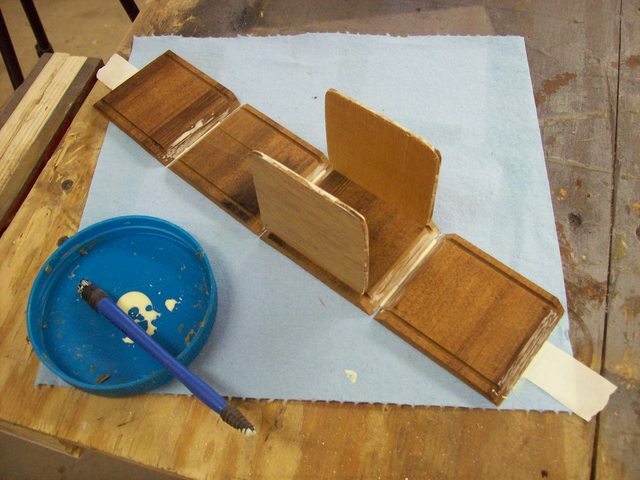 Glue up with some 1/8 plywood scraps. Cut it open, and then hammered it flat. I also got to try mixing epoxy with coffee grounds. 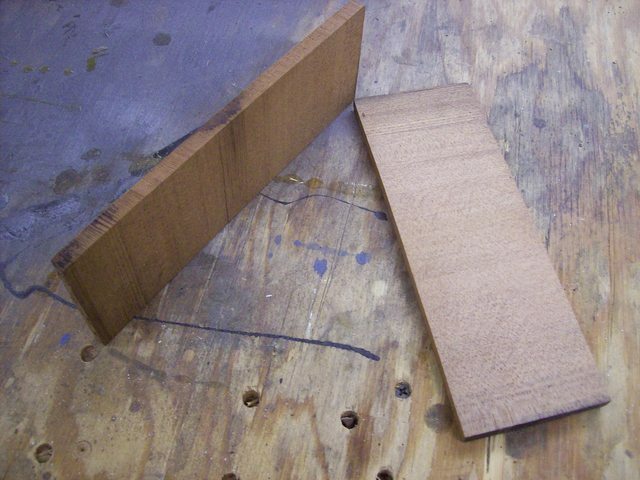 It helped fill some gaps in my copper inlay, and also smelled quite nice. 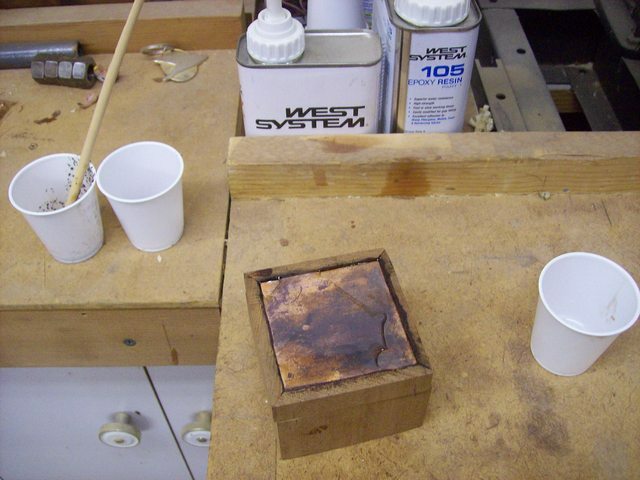 The I poured the remainder of the clear epoxy over the top to seal in the copper and prevent fuhrer patina. Here’s a video as well! Very Nice Work Indeed Peter! Great Details! Thanks For Sharing. 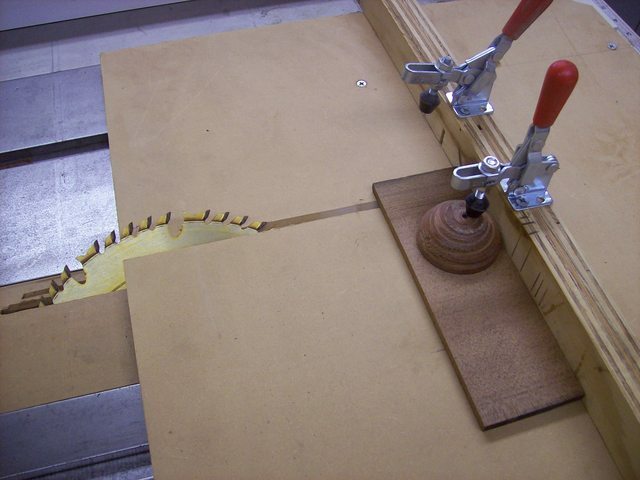 Nice box and I like the idea of using the copper pipe in the top…great job. Great job! I have always liked the combination of copper and wood. 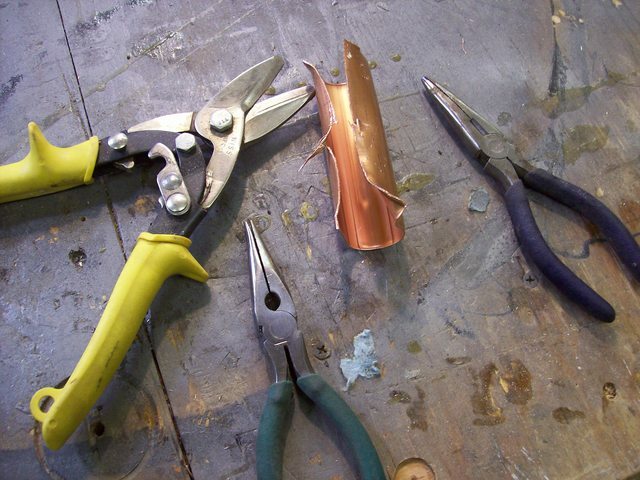 Great idea to use the copper pipe – I used to do enameling on copper plates and those can be expensive. Thanks for posting. I agree the copper is the cool part of this. Over all the box is kinda ‘meh’ but I think the idea behind it is worth trying again! I too love copper and wood. Can I ask, what size pipe did you use and what size square did that produce? 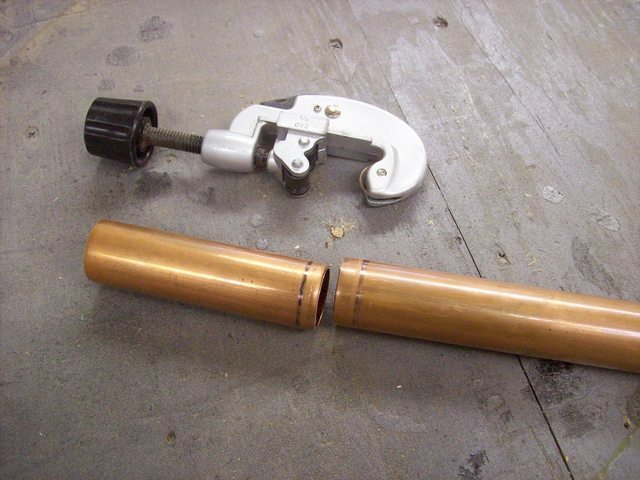 Nice torch work. 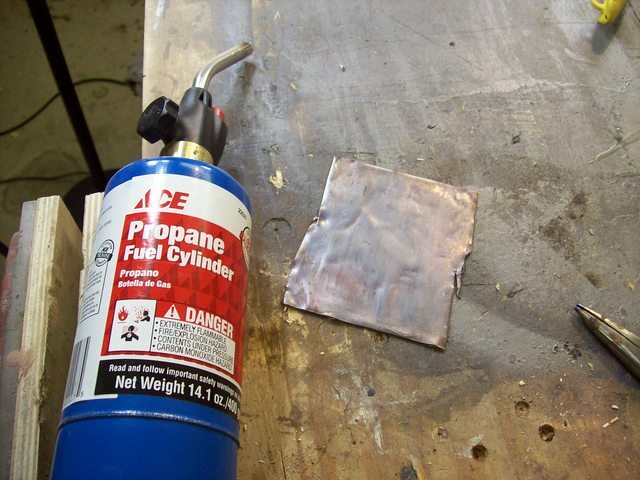 The heat patination will fade, unfortunately, as the copper oxidizes further. I do copper smithing and would like that the people who publish this site would add copper smithing as another one beside the other two. I made a copper rose for my wife (patinated purple) with a copper vase for xmas 2012. BTW, Rick, I love your signature- “Egotism Is The Anesthetic That Dulls The Pain Of Stupidity”. Too true! Big fan of copper, neat trick. I was a 1” diameter and I got a 4×4 square out of it. That sounds really cool! I’m going to look up copper rose! Here ya go. I copied this guy’s process, but made mine a little differently. If you search just on roses there, you will find some made from steel. Those guys are good! Here’s a pic of the one I gave my wife. I patinated it purple. 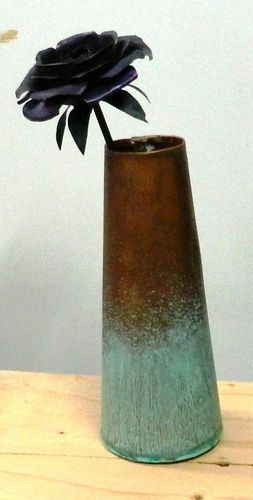 I also made the vase and patinated it after kicking it around the back yard (literally- you can’t always get “random” wear and damage on the bench) for awhile to “age” it some first. You can’t see it, but there is a screw in the bottom that keeps the rose petals and leaves aligned. I painted it to look like a lady bug.